This Doctorate of Business Administration (DBA) is a Fast Track Programme to provide an excellent opportunity for applicants to enhance their career prospects. 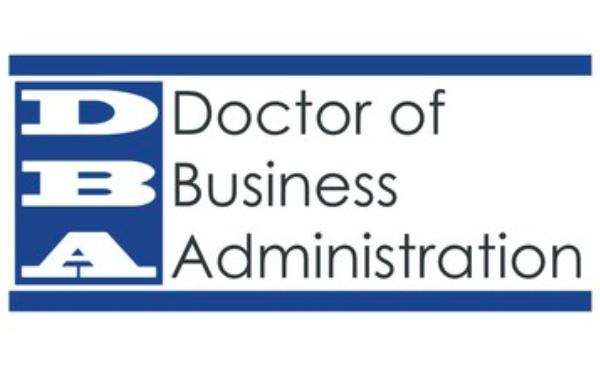 The degree of Doctorate of Business Administration abbreviated DBA, has the equivalent standing to a PhD in Business Administration, which is a research doctorate in business administration. DBA candidates can specialise in areas such as management, business strategy, technology, health or social care, organisational behaviour, coaching, mentoring, economics, accounting, finance or any suitable other practical fields. This qualification includes two stages; the first stage requires students to study and complete 8 modules at the postgraduate research level to develop their strategic management and leadership capabilities. Students will achieve an international recognised UK Regulated Qualification in Strategic Management and Leadership (Level 8 which is an equivalent to Professional Doctorates and PhD in the United Kingdom). After successful completion of Stage 1, students will progress to the Stage 2; this requires the presentation of a thesis to complete the DBA. Develop critical self-reflection and self-awareness to enhance personal and professional development at senior management level. Develop research skills for the senior level of the management. Analyse effective methods, procedures, and systems for defining, planning and scheduling, controlling and organising project activities. Assess organisational performance through strategic analysis to strategic formulations and to prepare the participant of this course to take the responsibility and managerial roles in areas of strategic planning, decision making and organisational change. Determine and apply appropriate research methods to business management problems. Demonstrate an understanding of the concepts involved business and management related problems to make appropriate decisions based on sound reasoning and analysis to create an organisational solution. Conduct, evaluate and apply research designed to explain, forecast and to improve the performance of management system of the organisation. Develop skills, capabilities and understanding in managing and organising research project in line with professional and ethical principles. Evaluate and synthesize scholarly literature to general research that will significantly contribute knowledge in business management. Students can complete the whole programme in 12 months or in a flexible learning environment to complete the Doctorate degree in 24 months. This qualification includes two stages; the first stage requires students to study and complete 8 modules at the postgraduate research level to develop their strategic management and leadership capabilities. Students will achieve an international recognised UK Regulated Qualification in Strategic Management (Level 8 Diploma in Strategic Management, which is an equivalent to Professional Doctorates and PhD in the United Kingdom). After successful completion of Stage 1, students will progress to the Stage 2; this requires the presentation of a thesis to complete the DBA. The Level 8 Diploma in Strategic Management is awarded by Qualifi Ltd. The Diploma is accredited by Ofqual and listed on Regulated Qualifications Framework and European Qualification Framework (EQF) at Level 8. In Stage 2, students will be assigned a personal tutor for the Thesis who will offer support throughout the process. 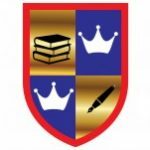 Students will be acquainted with the theoretical and practical bases of academic research by formulating hypotheses, research questions and their analyses and implementation, expanding business theory and terminology, as well as increasing communication skills and understanding ethical standards for scientific research. The theoretical and practical knowledge gathered in the course of the research process enhanced by the acquisition of core courses learning outcomes will add a high value to professional work performance and academic-related skills and abilities. This guarantees the ability to handle business-related issues in a scientific manner. Students will be supported throughout the writing of the thesis and in certain circumstances, the awarding body will allow for a joint presentation and collaborative writing between students. The total fee for the whole programme is £19,800. Apply today and receive 50% exclusive discounts on the total fees. You will pay £9900 for the whole programme. Note: Students holding Level 8 Diploma in Strategic Management or equivalent qualification will only pay £8000 for DBA Top Up. Doctorate of Business Administration (DBA) provides a variety of careers and encourages learners to gain the skills, knowledge and understanding that will help them achieve their goals and aspirations. Graduates can seek Director or Senior Manager Role in the area of HR, Supply Chain, Entrepreneurship, Marketing, Sales, Finance, Manufacturing, Technology, Retail, Banking, and Health Service. They can also perform teachings anywhere in the world in their specialised field. 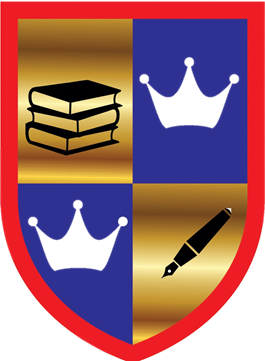 Click Here to Visit the 'Admission section', download Admissions Application, complete and submit us with requested documents. Successful learners will get full support from Cambridge Management & Leadership School throughout their studies. It provides the opportunity for individuals to forge a career in management by seeking a greater knowledge and understanding industry, and to support the individual’s development into senior positions. Dear Nosa, it is DBA and you can produce a thesis in health and social care. It has two stages, stage 1 is fully focused on Strategic Management and Leadership (you can write assignments in health and social care, as this course is applicable to all sector). We have students who are working in the health & social care sector. I have completed Qualifi Level 8 in SML and I would like to enroll on DBA? what is the procedure? I would like to thank the Cambridge Management and Leadership School for giving me the opportunity to study the Level 8 Diploma in Strategic Management and Leadership. An excellent experience that will support me in my operations in my country! I have already been accepted for a DBA (TopUp) from a Swiss Institute!